← Mary Beard and Question Time – Clash, Discussion or Dialogue? The modern Probation Service in England and Wales was accorded formal statutory footing in 1907 by a reforming Liberal Government having its embryonic Victorian antecedents in the appointment of Police Court Missionaries who worked in local Magistrates courts to redeem or act as guardians to many of those deemed by society as incorrigibles, inebriates and the socially excluded. The primary duty to ‘ advise, assist and befriend’ was enjoined on new entrants in what quickly became a more professionalised, welfare -oriented community based statutory agency. The union representing Probation staff Napo (National Association of Probation Officers) was formally established in 1912. The social work ethos that informed and shaped the widening casework responsibilities of Probation Officers was facilitated by the development of what was widely seen and lauded as the pivotal role of the professional relationship that the client/offender had with a Probation Officer( and later Assistant Probation Officer grades) . 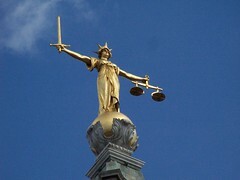 This role was strengthened with additional responsibilities that including work in prisons, parole supervision and aftercare, the provision of social enquiry reports( now known as pre-sentence reports ) to courts on Adult defendants found/pleading guilty to a range of middle ranking offences, as well as the setting up of Bail Hostels. Another significant statutory task which became integral to the Services work was the introduction of Community Service in 1972. With the election of a Labour Government in 1997 the Probation Service came under greater political and organisational scruntiny via the Home Office, becoming a more centralised organisation ( the National Probation Service was inaugurated in 2001) and began to undertake more systemised approaches to researching what became known as the ‘ What Works’ movement which examined with more academic rigour more effective ways of working with those under supervision to reduce reoffending rates,assist desistance and promote better reintegration. The results of such research proved at best inconclusive as the timescales involved did not favour quick fix beneficial outcomes.This service wide implimentation strategy was premised on the well founded belief that greater public confidence and support was needed to revitalise the role of community penalties. The pace of change and structural reorganisation began to appear remorseless with the introduction in 2004 of NOM ( National Offender Management Service) after very little formal consultation as the single umbrella organisation for prisons and probation. For many inside and outside the Service the demise of a free standing Public Probation Service appeared near inevitable. The central thrust of Patrick Carter’s report which established Noms was the need to control the overuse of imprisonment , particularly the 60,000 Offenders subject to short term prison sentences, whose high reconviction rates and lack of resettlement support,had already been identified in the work of the Social Exclusion Unit ( 2002) The subsequent Labour Party manifesto ( 2005) alluded to the mangled jargon of ‘contestability’ ( Privatisation in sheeps clothing!) and the near ubiquitous language of ‘Offender Management’ seeped effortlessly into the Probation Service too bruised and cowed by political interference and bullying. These sharp correctional shifts had already been outlined in the earlier cited Carter Review and noted amongst other things to the need for Voluntary Organisations and the private sector to be offered greater opportunities to deliver offender services. The contribution of the Voluntary Sector and Private Companies ( ie Electronic Monitoring) towards integrated supervision approaches was already well established across the Service in the multiplicty of local partnerships centred on the vexed issue of accomodation, training, employment and substance misuse.. Certainly the growth of ever tougher punitive rhetoric and sentencing practices ( ie the much criticised IPP -Indeterminate Sentence for Public Protection) added to the active encourgement of a expanding commercial correctional sector called into question the future direction of rehabilitation services founded on what was deemed the outmoded welfare oriented interventions captured in the adage ‘Advise, Assist and Befriend’ . The passage of the Offender Management Act in 2007 the same year as the centenary of the Probation Service consolidated many of the penal developments that have reached some form of correctional apotheosis in the latest Ministry of Justice ‘ mini’ 6 weeks Consultation-Transforming Rehabilitation.The third such Consultation on the future of Probation in the last 12 months.!! The Justice Secretary wants these latest proposals in place by 2014. The main thrust of these proposals involves contracting up to 70% of core Probation work to other providers in the Third/Private Sector of those assessed as low/medium risk Offenders ( around 230,000)The Probation Service will not be allowed to tender for such work., scaling up the PBR ( Payment by results) model , much favoured by Mr Grayling from his tenure in DWP, enabling a rump Probation Service to retain statutory responsibility for Public Protection such that 50,000 high risk Offenders ( ie predominantly sexual/violent offenders) remain supervised under what is presently known as the Mappa( Multi-Agency Public Protection Arrangements) statutory framework. The retention of initial risk of harm assessments on all Offenders and reports to courts and the parole board. This inspite of the fact that Probation has better reconviction rates than prison and has no current role in supervising those 60,000 Adults sentenced to under 12 months custody( who will now be under ‘ resourced’ post -release supervision). The Probation Service, often viewed at home with suspicion and misunderstanding by politicians, media and the public, is held in high regard internationally as a publically accountable , national service working to common standards but through its Trust structure( there are currently 35 Probation Trusts in England and Wales) responsive to local conditions. Placing so much reliance on commercial contracts seems a very high risk strategy when dealing with many of societys most difficult, damaged and dangerous individuals. The Probation Service has in recent years been publicly excoriated for ‘ supervisory failures’ which have led to fatal outcomes , how might private sector providers respond to such events ( much like the G4S Olympic fiasco ?) with financial payback and whose accountability will it be? Will the role out of Payment by results, ( comparable Health and Welfare schemes highlighted costs outweighing savings) encourage a private contractor to inform the police if someone under ‘supervision’ reoffends, thereby risking no payment? Whose raised risk will translate into open communication between agencies such that rates of financial return do not overule professional decision making. The poster child of commercial inroads into Probation namely the Serco contract to run Community Payback( Unpaid Work) in London took 2 years to impliment. Within days of transfer dozens of redundancy notices were being issued and current practices noted by those working for Serco already highlight questionable recording, poor internal communication and a stark absence of any needs led approach to vulnerable service users! The Probation Service that met alls its targets in 2011/12 and indeed won a Golden Award for Excellence in 2012 is now being expected to reorganise twice in the next 6 months and many see these moves as wrong headed, poorly evidenced policy driven wanton ideological vandalism, likely to fragment service delivery and compromise public protection. After 105 years the demise of the Probation Service now looks ever more likely if these proposals proceed unamended. It is with some historic irony that a service founded at a time of progressive liberal reform now faces its endpoint under a Coalition Government. It maybe that Nick Clegg ‘s prescient words when he spoke to Napo at the time of the centenary in 2007 could well serve as its swansong’ it is crucial that the unglamorous, painstaking, yet hugely important work of the service is cherished, not undermined, by both government and opposition parties.” We shall see.